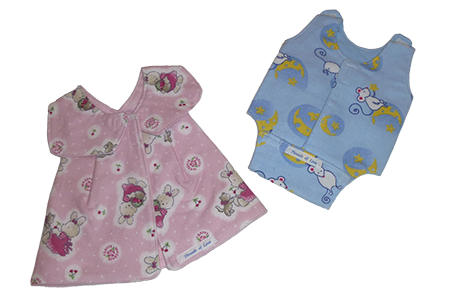 Threads of Love is a sewing ministry meeting the needs of tiny premature infants and newborns who struggle to survive or who die due to stillbirth, miscarriage or infant death. The ministry is about healing and binding the hearts of parents together at a time of uncertainty about their baby’s health or when they lose an infant. Our chapter is but one of many throughout the United States. Our mission is to show parents the love of Christ at a time when their personal pain is hard to endure and let them know that God is faithful. 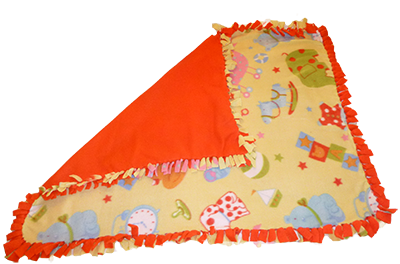 All items are made by volunteers who want to show their love and service by using their sewing talents. Please pray that this ministry will have an impact far beyond our expectations. 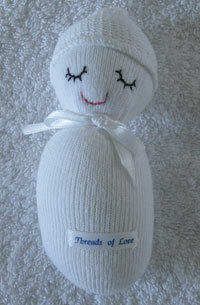 • Donating fabric, threads, trims, yarn, socks (for Lovie dolls) etc. If you would like to be a part of this ministry or if you have any questions, please contact Gay Morris at (559) 438-1120 or email Gay. Anyone in the community is welcome to participate! The mother of this baby (footprint) was 26 weeks into her pregnancy. The baby weighed 1 1/2 pounds.